A Girl for all Time's "Clementine, Your 1940s Girl"
I have been pulled in so many different directions this past week, it's been a whirlwind. I even felt torn about which doll I should review. I was happily ensconced in my A Girl for all Time Clementine review when Ever After High Ashlynn Ella and Hunter arrived in the mail (eeee! ), and so I have been hopping back and forth between two photo shoots like a happy ping pong ball, trying to decide which review to finish first. Clementine eventually won because I have been waiting for her the longest, and she is an interesting contrast to the My Salon Doll that I reviewed last week. A Girl for all Time is a British doll brand designed and marketed by the Daughters of History, Ltd. and made in China. The dolls represent young girls from different generations of the fictional Marchmont family. Each doll is dressed and styled according to her particular time in history. There are three dolls in the collection so far, Matilda, Amelia, and Clementine. Matilda is from the middle part of the 16th century, Amelia is from the Victorian era, and Clementine is from the late 1930s and early 1940s, during World War II. "Clementine," by A Girl for all Time. Picture Day Frankie Stein and Scaris Abbey Bominable--A Guest Review! This has been a crazy week and so I am beyond delighted to have a guest reviewer who was willing to step in and do some of my work for me! I would like to introduce my well-named young friend, Emily, who will get you up-to-speed with two of the newer Monster High girls! Hi guys! I’m Emily and I’ll be doing a guest review on Picture Day Frankie and Scaris Abbey. A quick explanation about this review: ­I decided to do a comparison with these dolls, just to mix it up. So, without further ado, here’s the review! Picture Day Frankie Stein (L) and Scaris Abbey Bominable (R). 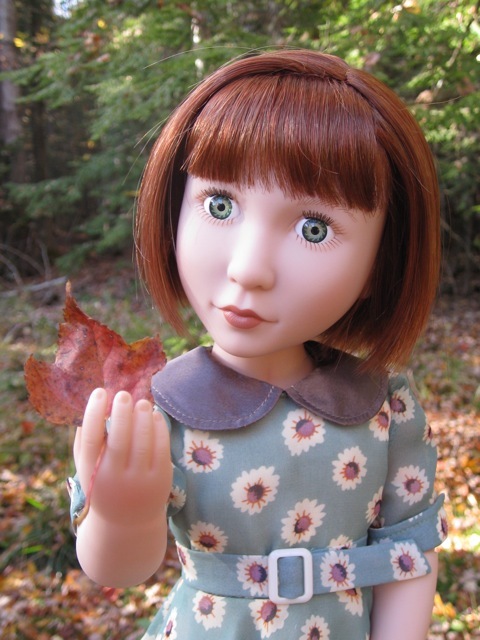 One of the neat things about writing my American Girl review back in July is that many of you had suggestions for other similarly-sized dolls that might be fun to look at. As a relative newcomer to the 18" play doll scene, all of these tips were greatly appreciated. I followed up on Holly's suggestion to look at My Salon Dolls, the anonymous recommendation of the Vanange line, and Char's enthusiastic endorsement of A Girl for All Time. I didn't end up keeping the Vanange doll and A Girl for All Time Clementine hasn't arrived yet, so this review will focus on My Salon Doll, Sydni. 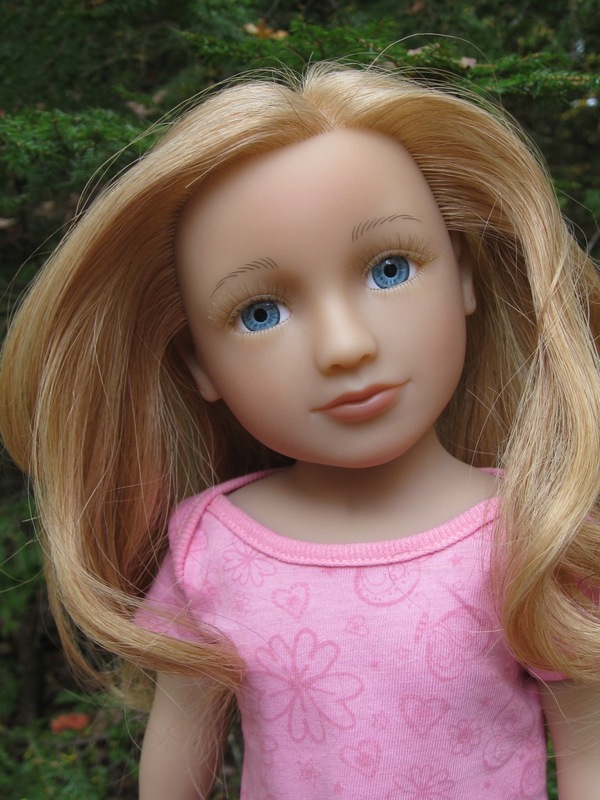 My Salon Dolls are designed by a small Utah-based company and manufactured in China. The special thing about these dolls is that they have micro-rooted human hair. The commercial on the My Salon Doll website advertises that the dolls can "tolerate any hair product that would be found in a regular salon." The dolls are also described as being bathtub-safe. In my experience with human hair doll wigs, the only problem with them is that they get dusty and dry. This doll's design appears to have eliminated those problems by making it safe and easy to wash and condition the hair. I love this idea and was very curious see what these dolls are like in person. The dolls are listed at around $130, but were on sale for $107 when I purchased mine--and are still on sale now. There weren't many dolls to choose from back in July, so I picked Sydni, who is the horse-lover in the group, and was also the only available doll who looked like she had reddish hair. 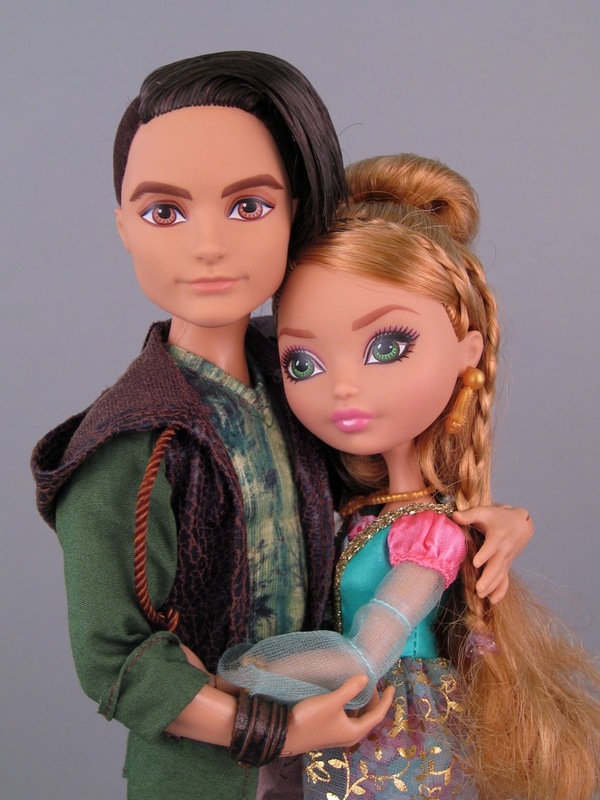 First of all, I'd like to thank Natalie for telling me about the Once Upon a Zombie dolls. Not only have I really enjoyed looking at this new line, but the dolls serve as an interesting contrast to the Fairy Tale High dolls I reviewed the other day. Despite the bounty of fairy princess dolls saturating the market, this is the only series in which the all of the characters are undead. I am a big fan of wholesome, beautiful, happy-ending fairy tale princesses that aren't even the slightest bit dead, and yet I love watching The Walking Dead, and I enjoy playing video games like The Last of Us and Plants vs. Zombies. So, I guess I have to admit that I've fallen under the spell of the recent mainstream zombie craze. I prefer zombie scenarios where there's a cure (as in Warm Bodies) but I'm also interested in the pseudo-science behind all of these stories, and I enjoy the challenge of imagining the moral dilemmas and survival tactics that such a horrific apocalypse might provoke. Once Upon a Zombie "Zombie Rapunzel." Fairy Tale High (known as "Fairy Tale Academy" at the 2013 Toy Fair launch) is yet another brand of 12-inch play doll that is using the fairy tale princess theme. Fairy Tale High's angle is that all of the princesses are modern teenagers attending the same school of performing arts. At least it's not fashion school. The number of dolls that have something to do with princesses or fairy tales this year is shockingly high. 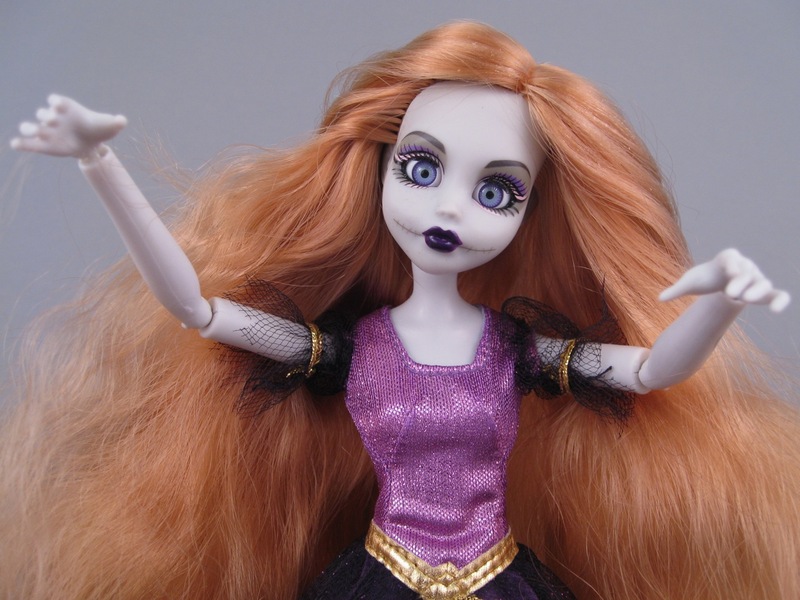 I can count about nine different doll lines: The current Disney Store and Mattel versions of the Disney Princesses, La Dee Da Fairy Tale Dance, Cutie Pops Crown Cuties, Ever After High, Monster High Scary Tales, Once Upon a Zombie and Fairy Tale High. And I guess I could also include the Bratzillaz Witchy Princesses, but they don't really look much different from the normal Bratzillaz. Anyway, it's out of control. The question is, do we need all of these different princess characters? I mean, which ones are offering something truly unique? Fairy Tale High "Teen Rapunzel," by S-K Victory. When I was a child, I was much more interested in toy horses than I was in dolls. I had a massive collection of Breyer model horses, and my friends and I would play elaborate games with our plastic herds, developing little romances (between the horses) and power struggles (between the horses...mostly) that could rival most soap operas. 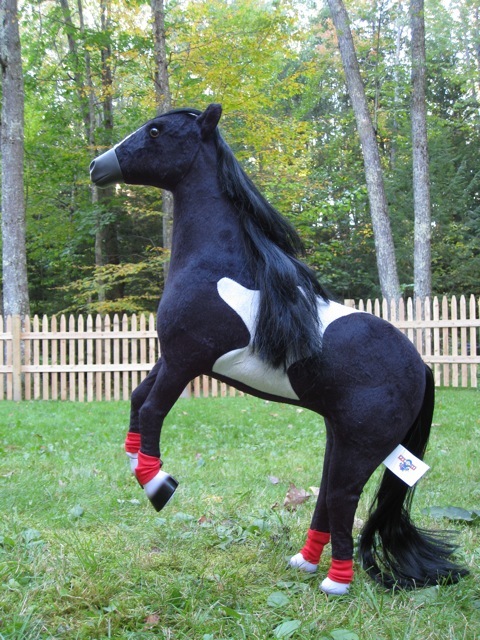 As an adult, I am more interested in collecting dolls, but horses still elicit a special kind of excitement in me. I don't know if it's just my warped perspective, but it seems like there are a lot of new play horses on the market these days, and I find myself gravitating towards these toys when I am in the stores. Many of the horses I've seen come with dolls, but I often feel like the dolls are completely out of scale with their equine companions (the Mattel Disney Princess and Horse sets are a perfect example of this). I thought it would be fun to launch a series of reviews that examines some of the available horses, with an emphasis on which dolls fit them best. I won't do these reviews all in a row like I did with the Cutie Pops, but I hope to review six or seven different steeds over the next month or two. I am going to start by reviewing two of the large 19" Paradise horses. I have been curious about these toys (and the whole Paradise line) for a while. The fur-covered, articulated Paradise horses are sold for around $30 at Walmart as part of the Madame Alexander 18" "My Life As..." play doll series, but they are also available in the standard Paradise packaging with no mention of My Life at all. I was interested to learn whether there's any difference between these separately-marketed versions of the horse. These horses strike me as a nice alternative to the expensive American Girl horses, and will offer an interesting comparison for my upcoming review of the comparably-priced Our Generation articulated Morgan.